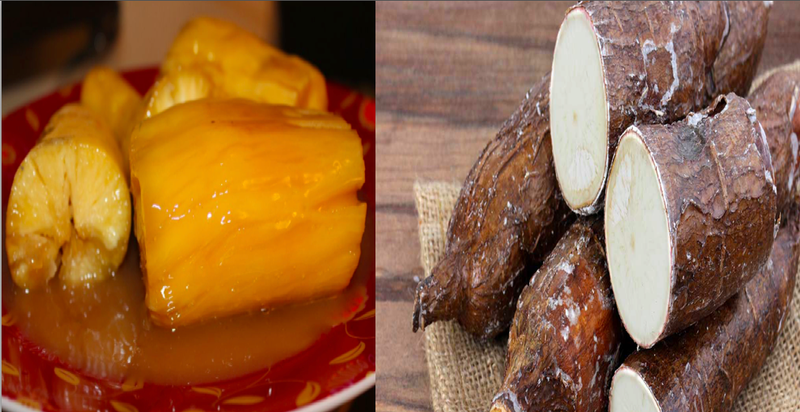 Starchy foods are one of the most nutritious foods in the world, Cassava is one of them. In which in the Philippine it is well known as “kamoteng kahoy”. It has different names which includes Manihot esculenta (scientific name), manioc, yuca, tapioca, macaxeira, mandioca, aipim and Brazilian arrowroot. Cassava was introduced into Africa by sixteenth century Portuguese slave traders and has been cultivated in the rest of Africa for several hundred years. While cassava has had a long history in the rest of Africa, cassava is not a well-known crop in South Africa. Cassava is the most important tropical root crop. Its starchy roots are a major source of dietary energy for more than 500 million people. It is known to be the highest producer of carbohydrates among staple crops. According to the United Nations Food and Agriculture Organization (FAO), cassava ranks fourth as a food crop in the developing countries, after rice, maize and wheat. Roots can be peeled, chopped into chunks and frozen for specialized markets. Cassava leaves can be eaten as a fresh vegetable, ground fresh and frozen in plastic bags, or dried and ground for sale in plastic bags. The leaves are relatively rich in protein and can be consumed. Cassava can be stored in the ground for several seasons, thereby serving as a reserve food when other crops fail. Cassava is also increasingly used as an animal feed and in the manufacture of different industrial products. It is also used in industrial processes. -it is very low in fats and protein than in cereals and pulses. -it is also free from gluten, the gluten-free starch used in special food preparations for celiac disease patients. -its leaves are a good source of dietary proteins and vitamin-K. Vitamin-K has a potential role in the bone strengthening by stimulating osteoblastic cells activity in the bones. -It also has an established role in the treatment of Alzheimer's disease patients by limiting neuronal damage in the brain. -it contains some of the valuable B-complex group of vitamins such as folates, thiamin, pyridoxine (vitamin B-6), riboflavin, and pantothenic acid. -it is one of the chief sources of some essential minerals like zinc, magnesium, copper, iron, and manganese for many inhabitants in the tropical belts. -Also, it has adequate amounts of potassium (271 mg per 100g or 6% of RDA). Potassium is an important component of cell and body fluids that help regulate heart rate and blood pressure. A natural cyanide generating system used by cassava plant against predators could be harnessed to treatment for cancer. It has been shown that cassava plant contains potentially toxic levels of cyanogen called linamarin which could lead to the destruction of cancers cells. The in vitro cytotoxicity assays showed linamarin extracted from cassava plants inhibited the growth and killed various cancers cells such as ovarian cancer, breast cancer and leukemia. -You need to peel off the herb of cassava. -Next cut it into pieces and immerse them alternatively between hot and cold water. -Right after the immersing, put them in the fridge and leave them for few hours. -Than by pouring the liquid in which the cassava pieces have been immersed in into another liquid just like fruit beverage or water. You can consume the treatment in an empty stomach daily.